Regular cups of Green tea are known to increase metabolic rate and maintain cardiovascular health and healthy cognitive function. 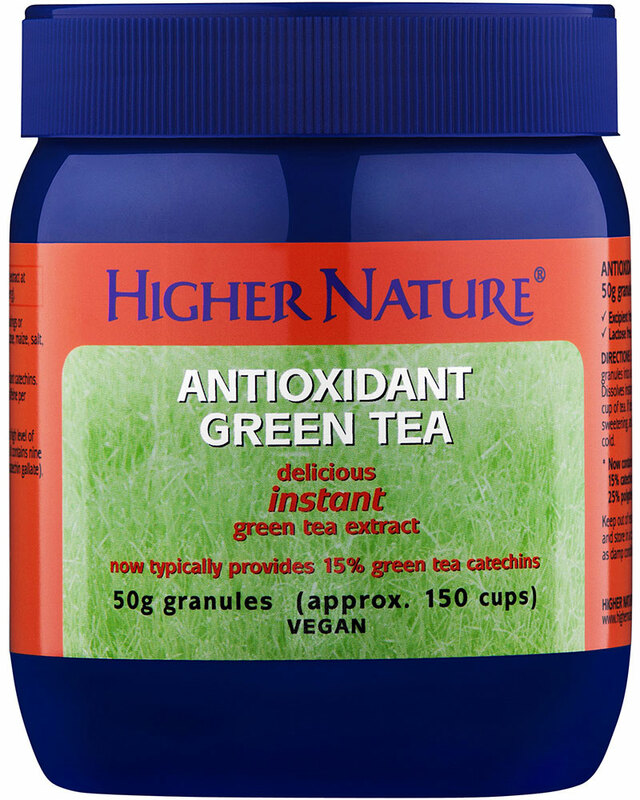 This High Antioxidant Green Tea comes in convenient granules that dissolve instantly in hot water for a refreshing drink, anywhere, anytime. 1g provides a guaranteed minimum 2.5% (25mg) Green tea catechins. Contains lactose. Make this a store cupboard staple for its marvellous health benefits! The catechins in green tea naturally contain antioxidants and also promote the number of beneficial bacteria in your gut making the environment less ‘attractive’ to potential invaders. High Antioxidant Green Tea comes in convenient granules that instantly dissolve in hot water making a delicious and refreshing drink. It contains nine catechins in all, and especially EGCG (epigallocatechin gallate), the most important green tea antioxidant.